Robin Baker is an award-winning American photographer. This sequence of photos demonstrates why that is: He literally captured the miracle of life in the truest sense of the word. Capturing the birth of these twins is something really unique seeing as today, 70% of twins are born via C-section in the US. 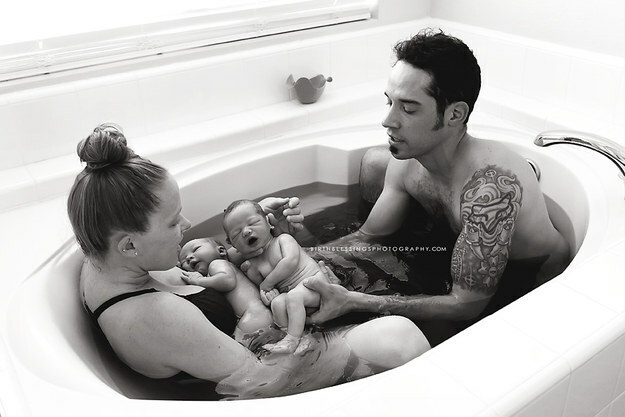 But these parents were sure they wanted a water birth for their little ones. Oh my! This mother and her twins made it through birth with no medical assistance. Apparently the twins were already on their way by the time the parents got in touch with their birthing coach. Baby number 2 came into this world inside of his amniotic sac! This is an incredibly rare moment to have captured on film and Baker managed to snap the exact moment with skill. 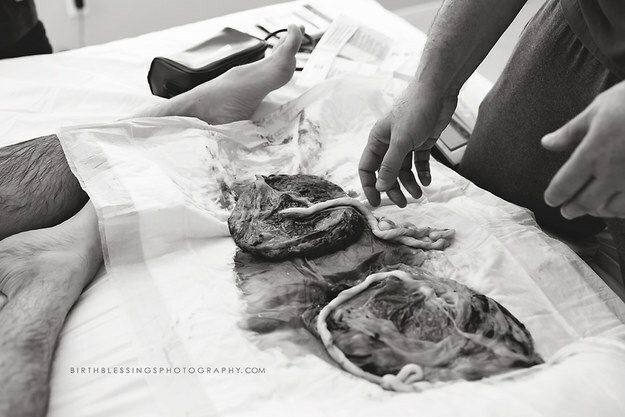 The photographer is a birthing veteran, he has photographed more than 70 birthsalready, but he had never seen anything like this before and his breath was taken away. Mom carefully opened the sac, releasing her baby and two placentas. How gently Baker has captured the precious moments of new parents discovering their little ones and forming strong family bonds. Two become four - unbelievable. A birth is truly a miracle every time. What an amazing thing to capture for years to come. Robin Baker has done an amazing job, you can see more of his work here.